Hi loves! Today I'm happy to share Pixi Beauty Rose Collection with you. This smells so good and makes my skin look and feel amazing. Here you can find all the essentials you need for full skincare routine. The range is infused with rose and its perfect for anyone who loves rose infused skincare like I do. Before we get into the review I want to mentioned this was sent to me as PR. As usual I always give 100% honest review. If I don't like something I say it. 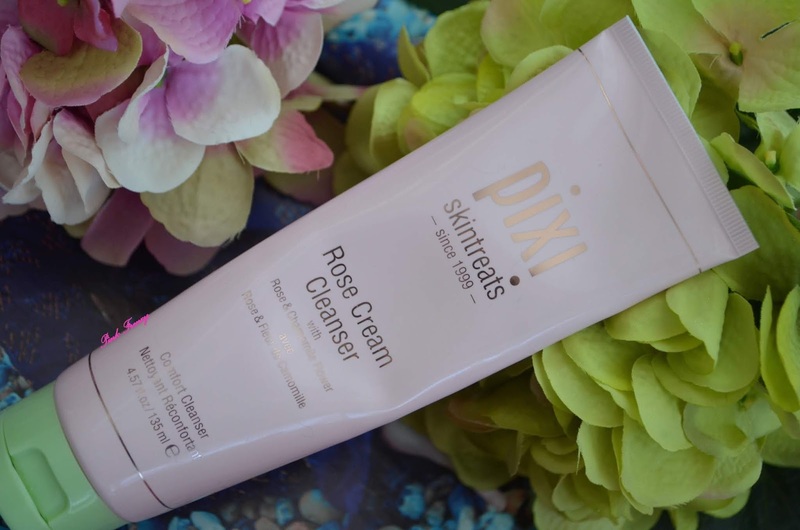 The first item in this range is the Rose Cream Cleanser (135ml, £18.00). It's with Rose and Chamomile flower. This is nourishing cleanser with minerals rich mud, which cleanses the skin, strengthens it and also makes it soft. Rose and avocado helps to condition the skin. Chamomile and aloe vera helps to sooth the skin. 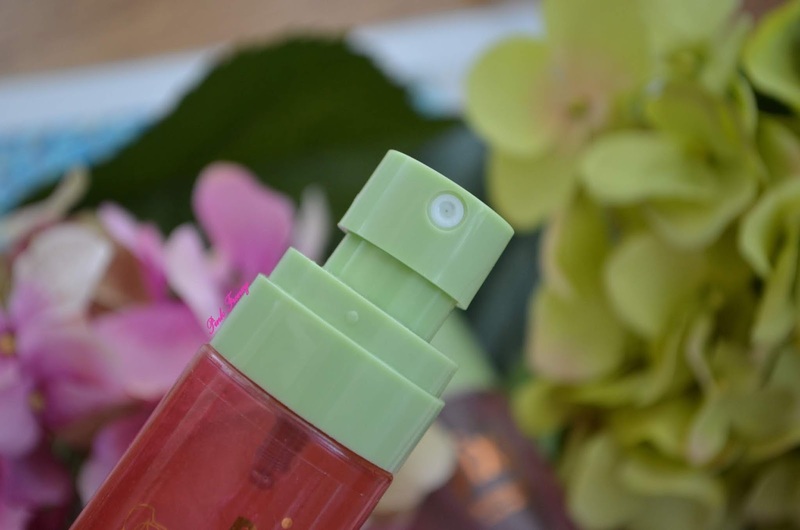 This is gentle cleanser, so it fits all skin types, even sensitive skin. Ingredients: Product Details Aloe Barbadensis Leaf Juice, Carthamus Tinctorius (Safflower) Seed Oil, Cetyl Alcohol, Glycerin, Water/Aqua/Eau, Diatomaceous Earth/Solum Diatomeae/Terre de Diatomées, Glyceryl Stearate, PEG-100 Stearate, Montmorillonite, Disodium Cocoyl Glutamate, Phenoxyethanol, Ethylhexylglycerin, Persea Gratissima (Avocado) Oil, Squalane, Xanthan Gum, Kaolin, Sodium Cocoyl Glutamate, Caprylyl Glycol, Chlorphenesin, Chamomilla Recutita (Matricaria) Flower Extract, Disodium EDTA, Rosa Gallica Flower Powder, Triticum Vulgare (Wheat) Germ Oil, Magnesium Aluminum Silicate, Aniba Rosaeodora (Rosewood) Wood Oil, Eugenia Caryophyllus (Clove) Leaf Oil, Pelargonium Graveolens Flower Oil, Citrus Limon (Lemon) Peel Oil, Cymbopogon Martini Oil, Cupressus Sempervirens Leaf/Nut/Stem Oil, Cymbopogon Schoenanthus Oil, Sodium Hyaluronate, Eucalyptus Globulus Leaf Oil, Rosa Damascena Flower Oil, Mica, BHT, Linalool. I use it as my morning cleanser. I like how gentle it is and it's a cream cleanser. I use coin size amount of products and massage my face with it. I do apply it to dry skin, but I wet my hands, so it's easier to massage the face. You can remove it with moist face cloth or rinse it off with water. I like to rise it off with water. It leaves my skin feeling fresh, hydrated and soft. After I have cleansed my skin I go in with their Rose Tonic (100ml, £10.00) and it's with rose and elderflower. This is nourishing toner. It's soothing and rich with nutrients. It helps to tone, balance the pH level, minimizes redness and soothes the skin. 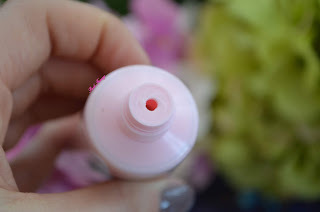 It's not tested on animals, its paraben free and it fits all skin types even sensitive skin. I use it in the evenings and I love how it rehydrates the skin, which I need this time of the year. I'm really happy with it. Next I have their Rose Glow Mist (80ml), which I wanted to try when I saw it the first time. This face mist is with 7 flower oils, essential fatty acids and antioxidants. This mist moisturizes the skin, improves elasticity and protects against free radicals. I also like the mist it gives is super fine. 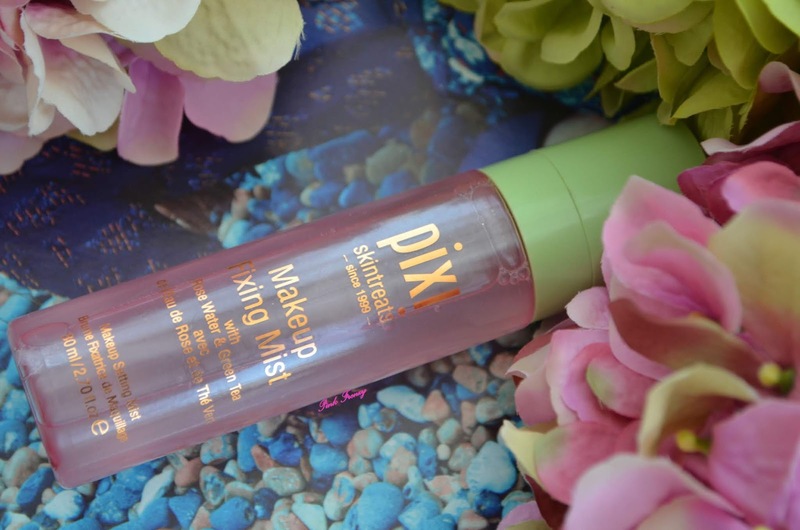 You can use this face mist any time of the day, before or after makeup or even through out the day. Before misting shake it. This leaves the skin healthy glow. I have oily skin, so I use it in the mornings as my toner. I love how fresh it makes my skin feel and it smells like rose. Delicious product! Ingredients: Aqua/Water/Eau, Olea Europaea (Olive) Fruit Oil, Glycerin, Dipropylene Glycol, Butylene Glycol, Argania Spinosa Kernel Oil, Caprylyl Glycol, 1,2-Hexanediol, Carthamus Tinctorius (Safflower) Seed Oil, Betaine, Persea Gratissima (Avocado) Oil, Illicium Verum (Anise) Fruit Extract, Trehalose, Panthenol, Eclipta Prostrata Extract, Artemisia Absinthium Extract, Arnica Montana Flower Extract, Achillea Millefolium Extract, Viola Mandshurica Flower Extract, Hibiscus Esculentus Fruit Extract, Aloe Barbadensis Leaf Extract, Gentiana Lutea Root Extract, Pelargonium Graveolens Flower Oil, Cymbopogon Martini Oil, Melia Azadirachta Leaf Extract, Vegetable Oil, Cananga Odorata Flower Oil, Rosa Damascena Flower Oil, Citrus Aurantium Bergamia (Bergamot) Peel Oil, Propylene Glycol, Moringa Oleifera Seed Oil, Tocopherol. Pixi Rose Caviar Essence (45ml) comes in a pink coral squeeze tube packaging and it's with concentrated flower oils suspended in a weightless serum essence. This feels so light on skin and sinks into it fast. 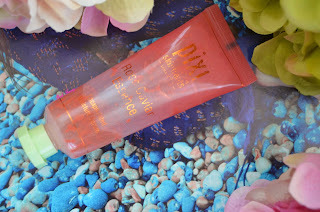 It nourishes, hydrates and restores skin brightness. The formula contains oils, which are rich with antioxidants. Ingredients: Water/Aqua/Eau, Glycerin, Macadamia Ternifolia Seed Oil, Citrus Aurantium Bergamia (Bergamot) Peel Oil, Cananga Odorata Flower Oil, Cymbopogon Martini Oil, Pelargonium Graveolens Oil, Tocopheryl Acetate, Helianthus Annuus (Sunflower) Seed Oil, Simmondsia Chinenesis (Jojoba) Seed Oil, Vitis Vinifera (Grape) Seed Oil, Olea Europaea (Olive) Fruit Oil, Rosa Damascena Flower Oil, Glycine Soja (Soybean) Oil, Morus Alba Bark Extract, Aloe Barbadensis Leaf Extract, Caulerpa Lentillifera Extract, Bixa Orellana Seed Oil, Tocopherol, Adenosine, Illicium Verum (Anise) Fruit Extract, Carbomer, Caprylyl Glycol, Butylene Glycol, Hydrogenated Soybean Oil, Tromethamine, Chlorphenesin,1,2-Hexanediol, Iron Oxide (CI 77491). I use it every morning and evening after toner or face mist. I use it as essence and press it into the skin. It sinks into it fast and makes my skin feel and look hydrated, soft and brighter. After the Rose Caviar Essence I go in with the serum. 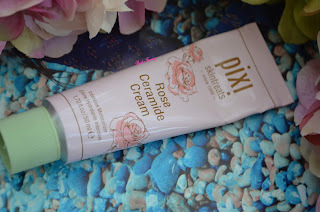 Next is the Rose Ceramide Cream (50ml) and it comes in a pink metal tube and has roses on it. The packaging is so beautiful! 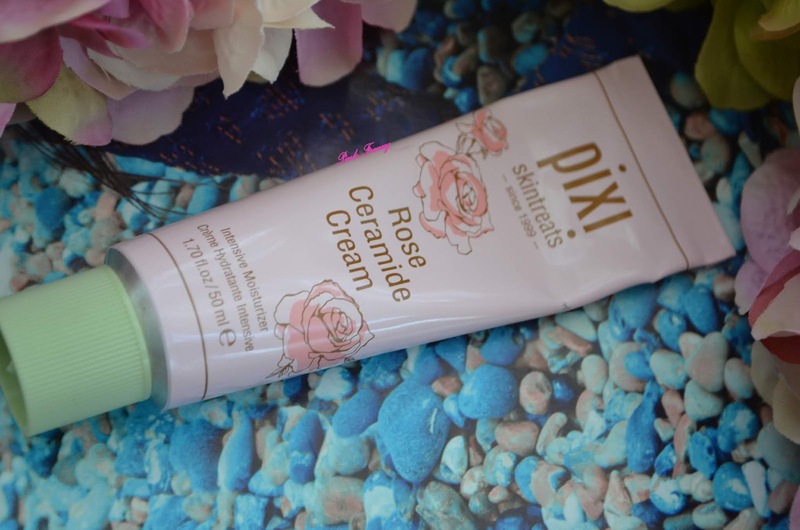 It's a rich cream with Ceramides and rose oil to deeply hydrate the skin. It contains antioxidant rich botanicals, which help to improve skin's elasticity and at the same time protect the skin against the environmental aggressors. The probiotics help to protect and balance. Ingredients: Aqua/Water/Eau, Dipropylene Glycol, Glycerin, Dimethicone, Caprylic/Capric Triglyceride, Hydrogenated Poly (C6-14 Olefin), Hydrogenated Polydecene, Cetearyl Alcohol, PEG-20 Methyl Glucose Sesquistearate, Betaine, Hydroxyethyl Acrylate/Sodium Acryloyldimethyl Taurate Copolymer, Polysilicone-11, 1,2-Hexanediol, Cyclopentasiloxane, Glyceryl Stearate, PEG-100 Stearate, Caprylyl Glycol, Methyl Glucose Sesquistearate, Citrus Paradisi (Grapefruit) Peel Oil, Sorbitan Stearate, Butyrospermum Parkii (Shea) Butter, Octyldodecanol, Dimethiconol, Butylene Glycol, Bifida Ferment Lysate, Ceramide NP, Polysorbate 60, Sorbitan Isostearate, Xanthan Gum, Citrus Aurantium Bergamia (Bergamot) Fruit Oil, Hydrogenated Lecithin, Portulaca Oleracea Extract, Rosmarinus Officinali (Rosemary) Leaf Oil, Propanediol, Sucrose Cocoate, Dextrin, Disodium EDTA, Echium Plantagineum Seed Oil, Caramel, Centella Asiatica Extract, Lecithin, Phenoxyethanol, Rosa Damascena Flower Oil, Biosaccharide Gum-1, Cardiospermum Halicacabum Flower/Leaf/Vine Extract, Helianthus Annuus (Sunflower) Seed Oil Unsaponifiables, Polyglutamic Acid, Tagetes Minuta Flower Oil, Potassium Sorbate, Betula Alba Bud Extract, Corylus Avellana (Hazelnut) Bud Extract, Juglans Regia (Walnut) Leaf Extract, Olea Europaea (Olive) Bud Extract, Tocopherol. It does contain silicons in the ingredients list and thats why I use it as my day cream. It has a slight fresh scent to it, which I like. 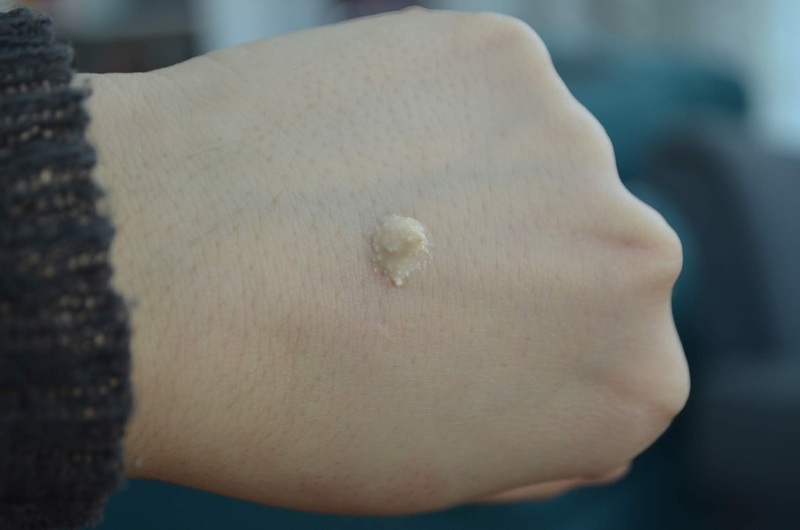 The formula of it is very light and it sinks easily into the skin. 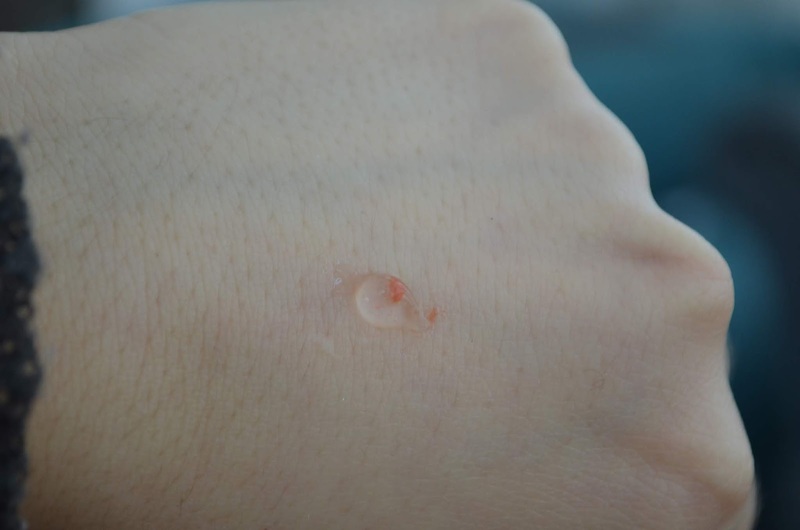 I have oily to combo skin and it's not too much for my skin type. 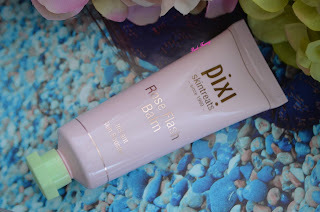 It leaves my skin hydrated, soft and bright. I love how light weight it feels on skin and its the kind of product I like as my day time moisturizer. 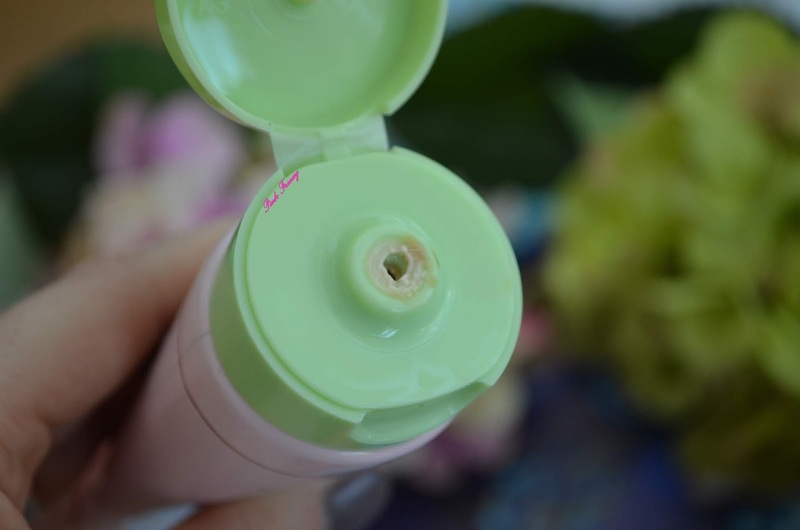 Next is their Rose Flash Balm (45ml), which comes in a cute pink squeeze tube. It can be used as a treatment mask or as a makeup base. I have been using it as my makeup base. It's so good for that! 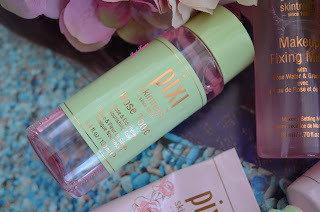 Its described as perfect pick me up treatment for fatigued skin. 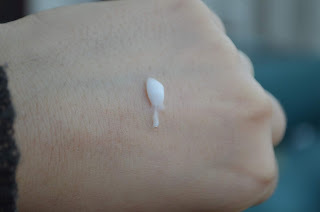 The oil free formula instantly moisturizes and brightens the skin. 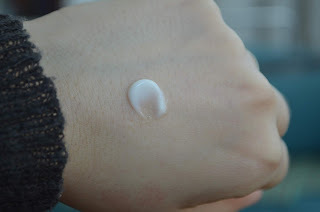 Ingredients: Water/Aqua/Eau, Rosa Centifolia Flower Water, Propylene Glycol, Octyldodecanol, Tapioca Starch, Polysorbate 60, Sorbitan Stearate, Carbomer, Phenoxyethanol, Triethyl Citrate, Aminomethyl Propanol, Sucrose Cocoate, Glycerin, Olea Europaea (Olive) Leaf Extract, Hamamelis Virginiana (Witch Hazel) Extract, Rose Extract, Bisabolol, Ethylhexylglyercin, Polymethylsilsesquioxane, Disodium EDTA, Sodium Citrate, Red 40 (CI 16035). I like to apply thin layer of it over the skin before doing my makeup as a primer. It does something amazing to my skin. My skin feels plumper, brighter and makeup applies better. I think this is my favorite way to use it. I have to be honest I haven't used it as a mask. It's recommended to apply thick layer and to do the mask 2-3 times a day and keep it on for 5 minutes. I like it can be used as a moisturizer, mask and a primer. 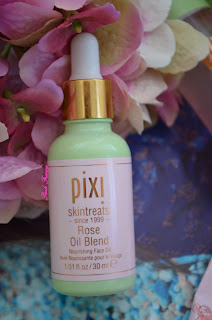 In the evenings I have been loving to use their Rose Oil Blend (30ml) and it smells so good. It comes in a mint green glass bottle and has a dropper. 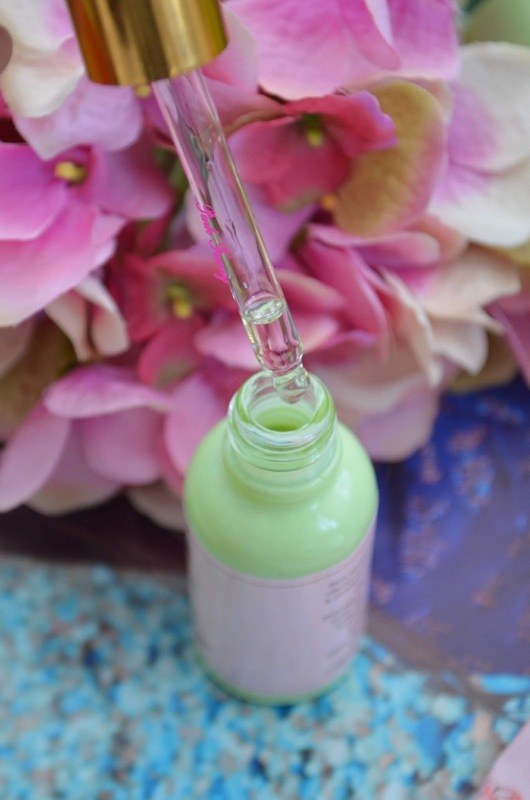 It's infused with powerful complex of youth preserving oils to help improve skin's elasticity. The sweet almond, rosehip, jojoba, pomegranate seed and rose geranium oils help to nourish the skin. It fits all skin types. I use this oil as my evening moisturizer, after I have used my essence and serum. I use 3 drops for my face and I massage it into the skin. It skins into the skin fast and leaves the skin feeling hydrated, soft and brighter. I feel oils are the trick to keep the fine lines and wrinkles in check. Also I can't live through winter with out face oil and the Pixi Rose Oil Blend has been fantastic partner. I see myself repurchasing it. 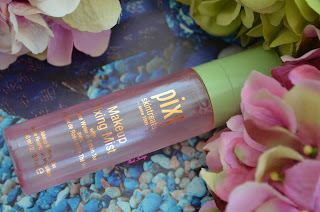 The last item is the Pixi Makeup Fixing Mist (80 ml). It's with rose water and green tea. I have reviewed it already on my blog, so I'm not going into it here. If you are interested you can read the review on it here. I do like to set my makeup with it and I also use it through out the day to refresh my skin. 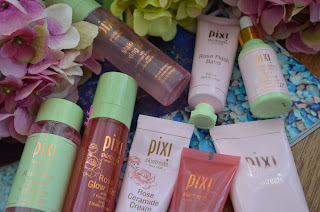 I'm so happy with this collection and so thankful for Pixi Beauty to send it to me. Thank you so much! I love rose, so this collection feels like its made for me. I definetly have favorites here like the Rose Oil Blend and Rose Flash Balm, which I need constantly in my life. Which are your favorite products from this range? I've been seeing this everywhere!! I want to try it!! 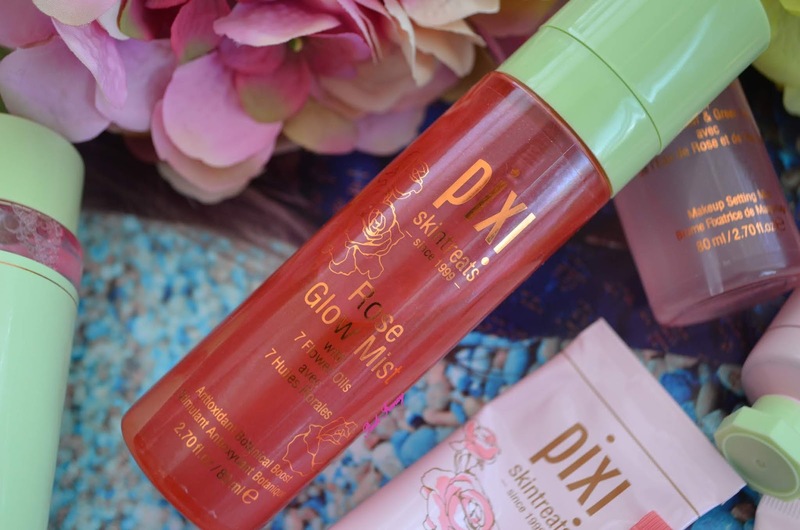 I am using quite a few from their line too and adore the Rose Tonic and the Rose Glow Mist.